This Sunday will be Easter, and that means we’ll be eating an Easter feast. And there’s no better way to end an Easter feast than with the perfect cheesecake. Luckily, I have the recipe for Perfect Cheesecake. 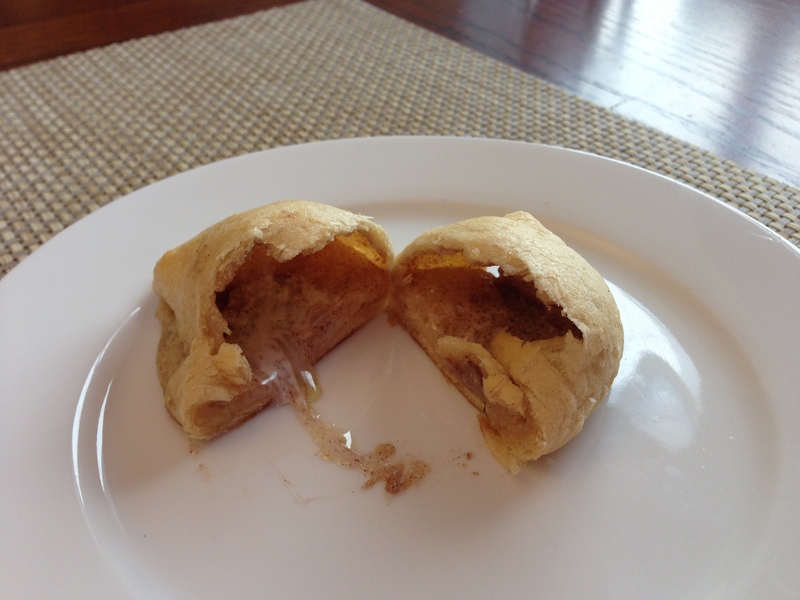 This recipe really is incredible, and it’s traveled a long way to get on this blog. 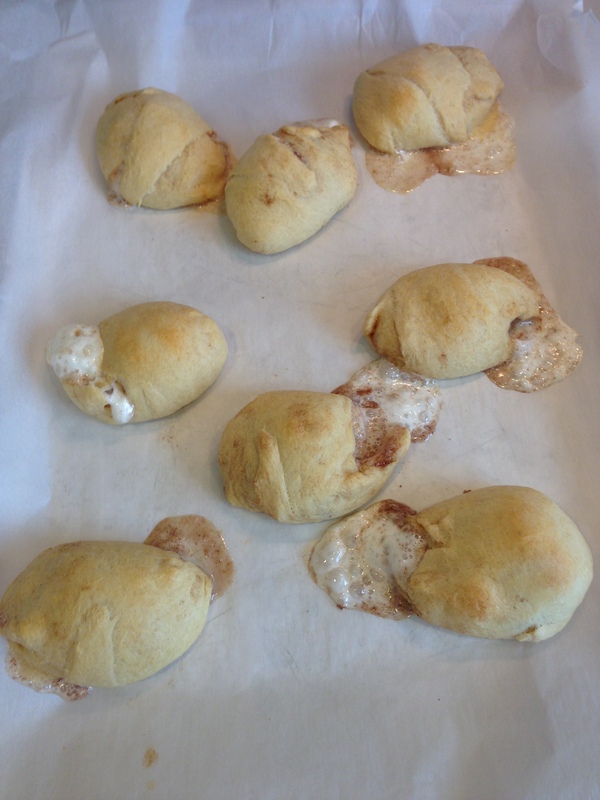 We got the recipe from–ready?–my husband’s college roommate’s dad’s campus pastor. You know that it’s gotta be good if it’s been passed down through that many layers. Most cheesecakes I’ve had are rich and dense, making it difficult to consume vast quantities of the dessert after polishing off your Easter Feast. And I always want room for dessert! This cheesecake is different. It’s smooth and not too heavy, perfectly sweet without being overpowering. Over the years we’ve made a few tweaks to the original recipe (OK, they were actually mistakes, but they ended up tasting really great so we left them in!). This is a great recipe for making a day ahead if you’re pressed for time on Easter morning. You may want to make a few of these cheesecakes–one to share, and one for yourself! Preheat oven to 350 degrees. Make your pie crust and set aside. Combine the eggs, cream cheese, sugar and a dash of vanilla in a large mixing bowl. Blend until creamy. 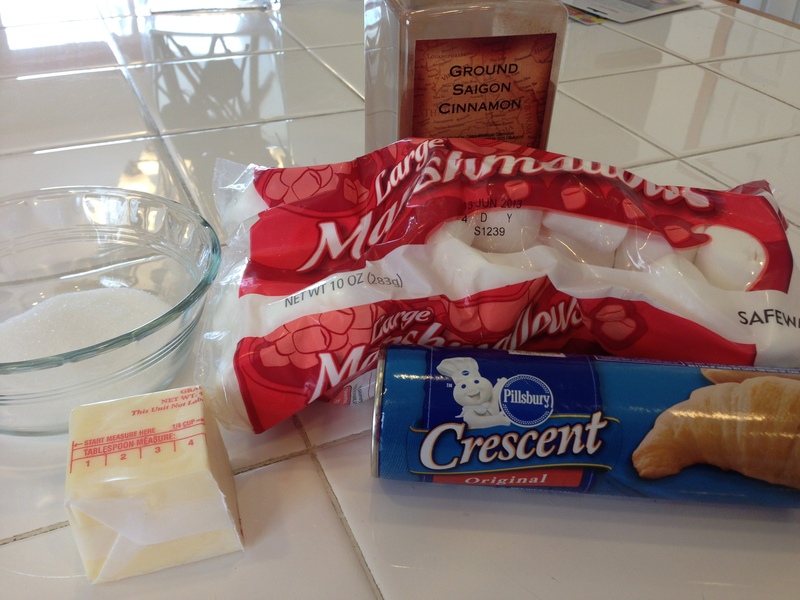 Pour the cream cheese mixture into your prepared pie crust and bake for 50 minutes. Remove from the oven and cool (the puffy browned top will fall and create a depression). Whip together the sour cream, sugar, another dash of vanilla and your berries. Spread the berry mixture over the top of the cooled cheesecake. Bake for another 20 minutes at 350 degrees. Cool at room temperature. Cover and refrigerate for up to 4 days (if you can manage to keep a cheesecake in your house that long without eating it!). I enjoy making gifts for the important people in my kids’ lives. Just a little something to show that we’re thinking of them and that we are grateful for all that they do for us. Easter seemed like a worthy occasion, so David and I went to work. I used to make these Easter lilies with my first graders every Spring after we read the book The Parable of the Lily. It’s a wonderful story about how something ordinary and unexpected (like a flower bulb) can turn into something beautiful (like a lily). 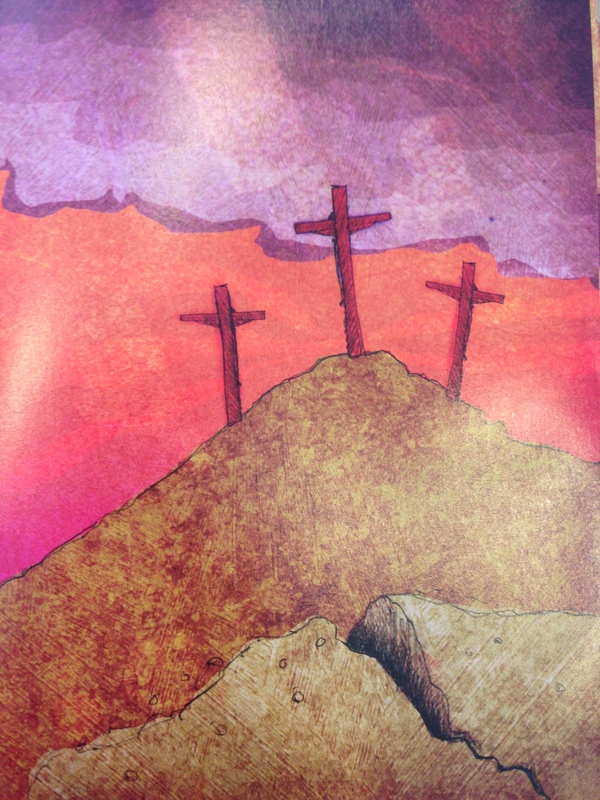 The story parallels the Easter story and has a great message about grace and forgiveness. Unfortunately I couldn’t find my copy of the book this week, but I thought it would still be a fun little project for us to do together while baby brother was napping. David is still pretty young to do a project like this, so I ended up doing most of it. He helped out wherever he could, though–his favorite parts seemed to be helping to trace his hand and trying out the hole punch. Here’s how we made the lilies if you want to give it a go! Trace your child’s hand onto the white paper. If you want to make more than one lily, you can fold the paper in half (or, if your child has tiny hands like mine, you can even fold it into quarters) before you trace so you can cut out multiple handprints from one piece of paper. Use the scissors to cut out the handprint. Then, use a pencil to curl each finger down.Roll the handprint into a tube shape and secure with a piece of tape. Use the hole punch to cut out small circles of yellow paper. Glue the yellow dots into the inside of the white handprint flower. Roll a tube out of a strip of green paper–this will be your flower stem (you can make it as long and as wide as you want). Secure your paper tube with a piece of tape. Cut out leaves from your green paper scraps and tape them onto the stem. Put a dollop of glue on the bottom of your flower (“runny” glue works better than a glue stick for this part) and set the flower on top of the stem. Let your flower dry completely. If you want, you can finish off your flowers with a card. which God made a part of me. To make this lily just for you. I made it because He loves us so. Jesus died to wash our sins away. He arose on Easter Sunday at last. Ta-da! A beautiful and simple craft that will brighten anybody’s Easter! I have this fantasy that some day I’ll wake up and my kids will just do what I ask them to do. Happily. Without running away or throwing an angry screaming fit about it (You want me to stop what I’m doing and wash my hands before lunch?! These sweaty sticky hands?! These grimy little hands that are busy throwing a basketball into my hoop for the 10,000th time today?! How dare you!!!). But, until that day, I’ll just trick them into obedience. Here are some of my favorite ways to throw them off guard just enough to make them do what I want them to do. When I’m brushing David’s teeth or helping him floss I’ll say something along the lines of, “I bet I can open my mouth bigger than you!” or “Can you roar like a lion?” or “Can you make your mouth as big as a wide-mouthed frog?”. Then, when he’s got his mouth gaping open, I’ll rush in with the toothbrush and get the deed done. “You can’t smile for the camera. Don’t do it! Noooooooo! Don’t you dare smile!”. And he smiles. When David is getting too loud my first inclination is usually to get louder. But what actually works better is a whisper. I’ll start whispering random things to him in an “excited whisper”–like what I’m saying is really important. He usually catches on after a few seconds and starts trying to listen to what I’m saying. The cutest thing is that when I’m whispering he always responds in a whisper, too. Now we’re having a whisper conversation instead of a shouting match! “Do you want broccoli or green beans with your dinner?” versus “Do you want vegetables with your dinner tonight?” (because, duh, no they do not want vegetables with their dinner tonight–but that doesn’t change the fact that they will get vegetables with their dinner tonight). When we have a particularly messy house (OK, we have a particularly messy house by about 4:00 every day) we’ll play “secret scrap” (or, in David’s case, “secret ball”). I’ll find a secret item that he has to find and put away, and if he does he gets a prize (usually a sticker or a hand stamp). *Note: I don’t actually have a secret item in mind when we start the game. I just wait until I’m satisfied that things have been cleaned up and I tell him that the last thing he put away was the secret scrap. The other day David was having a temper tantrum in the car (this happens quite often–you know, if I don’t sing the correct song or I don’t sing it in the correct way or I quit singing songs or I sing them too loudly or…). I just shouted over the top of his protests “Look! A schoolbus! What color is that light over there? Hold your breath through the tunnel (really just a freeway overpass). How many square signs can you find?”–and I just kept going until he started answering my questions. Then he wanted me to ask more questions. So I did. And he answered them. Temper tantrum: over. David doesn’t have any older siblings and Jacob is still too young to be any competition yet. But David has an older cousin who he looks up to and adores. And sometimes I use that to my advantage: “Guess what? Cousin Noah uses a spoon and fork at the dinner table. He doesn’t even throw food when he’s at the table! In fact, I happen to know that cousin Noah keeps his face and shirt clean when he’s eating!”. Now David wants to use a spoon and a fork better than Cousin Noah and keep his face and his shirt cleaner. 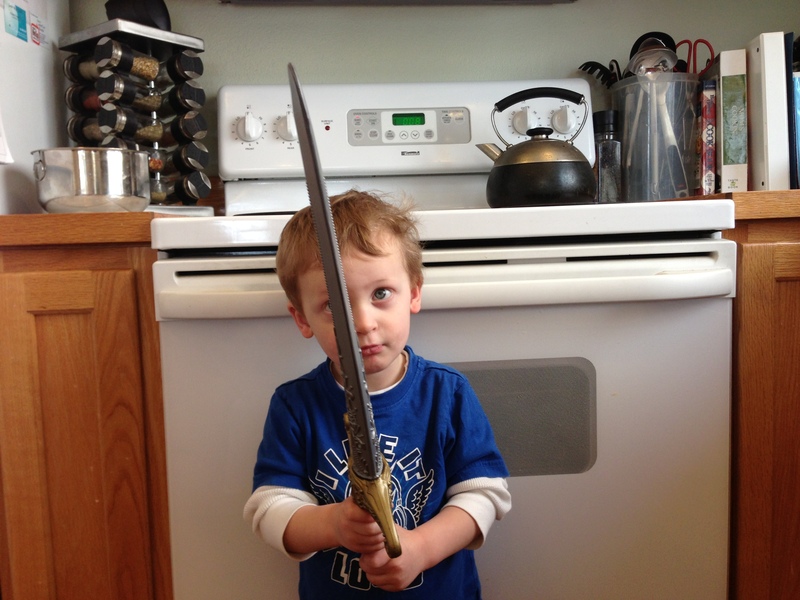 David is two-and-a-half, so feeling like a “big kid” is kind of a “big deal” these days. I’ll say things to him like, “Wow! You’re such a big boy now–I bet you can even help do the Velcro on your shoes like a big boy!”. And, you know what, usually he can. Now, these are some handy little tricks of the trade, but they do not work 100% of the time. Even with those odds, though, I’ll take any help I can get! It’s easy to lose sight of the true meaning of Easter with all of the commercialism that surrounds it in our culture (case in point: I just got an e-mail from our local mall inviting us out for photos with the Easter Bunny. The 6-foot tall “bunny” with beady little eyes looked pretty creepy in the photo. I don’t think we’ll be going). 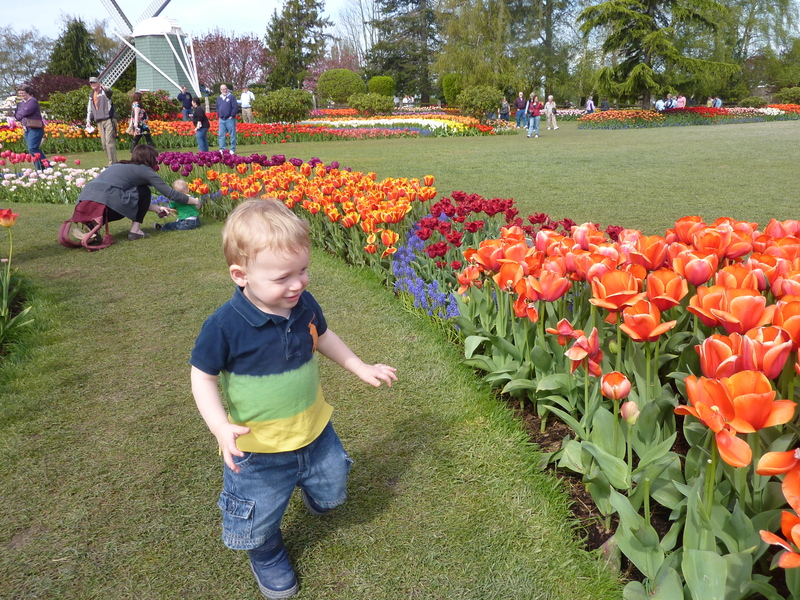 I want to make sure that my kids know why we celebrate Easter–that it’s not just another excuse to gorge on candy or trudge through the mud puddles looking for hidden surprises (at least, that’s what Easter egg hunts are like in Seattle). I want my kids to know that we celebrate Easter because of something amazing that Jesus did for them. I want them to know that it was a very hard thing for Jesus to do, but He did it because He loves them very, very much. 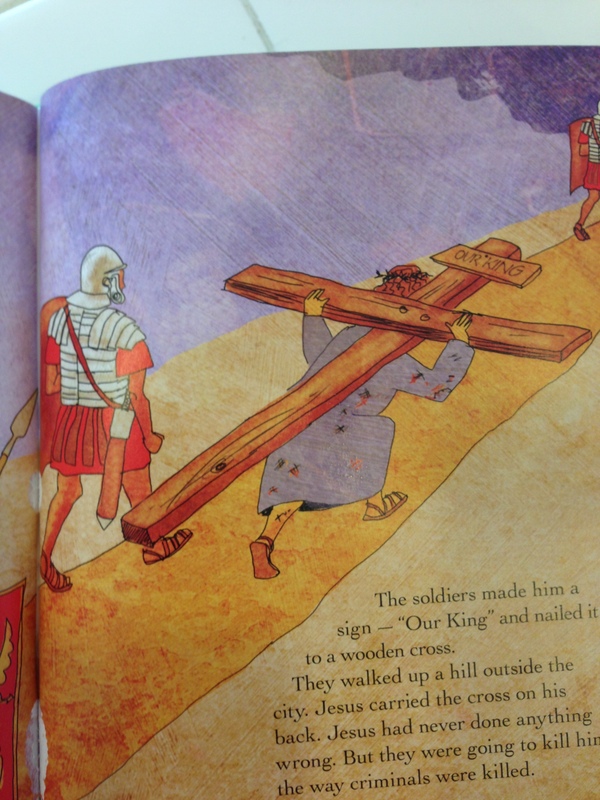 He did it because He wants them to know Him and have a personal relationship with their Savior. And, hopefully, some day they will. 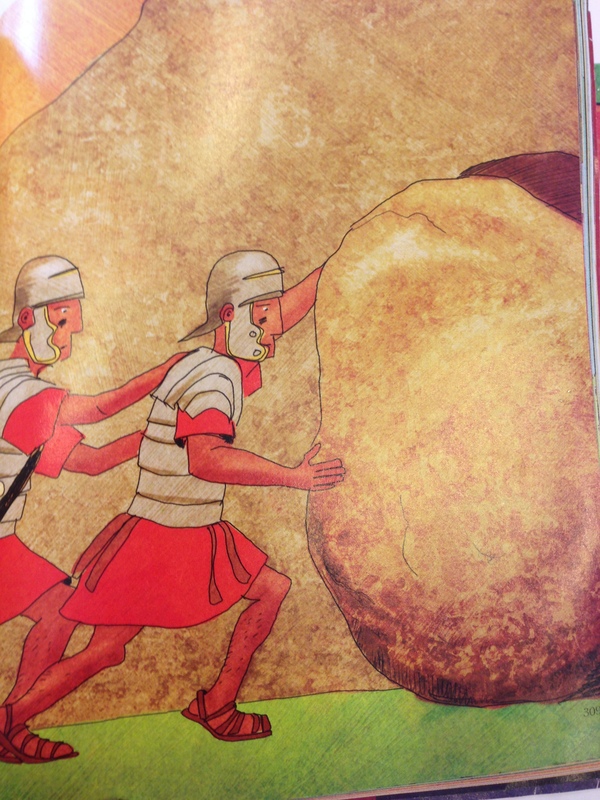 I’ve used Resurrection Eggs in the past to teach my students the Easter story. Basically you fill a dozen plastic eggs with small objects that correlate with Bible verses to tell the Easter story. You open one egg each day until Easter (starting 12 days out), read the verse, and look at the object inside the egg. By the end of the 12 days you’ve told the whole Easter story. It’s a wonderful tool to use with young children so I decided that I’d get a set of Resurrection Eggs for my own kids this year. I looked them up on Amazon and, lo and behold, they were $15! No, ma’am, I will not pay $15 for plastic eggs filled with trinkets. So, I went ahead and made my own. 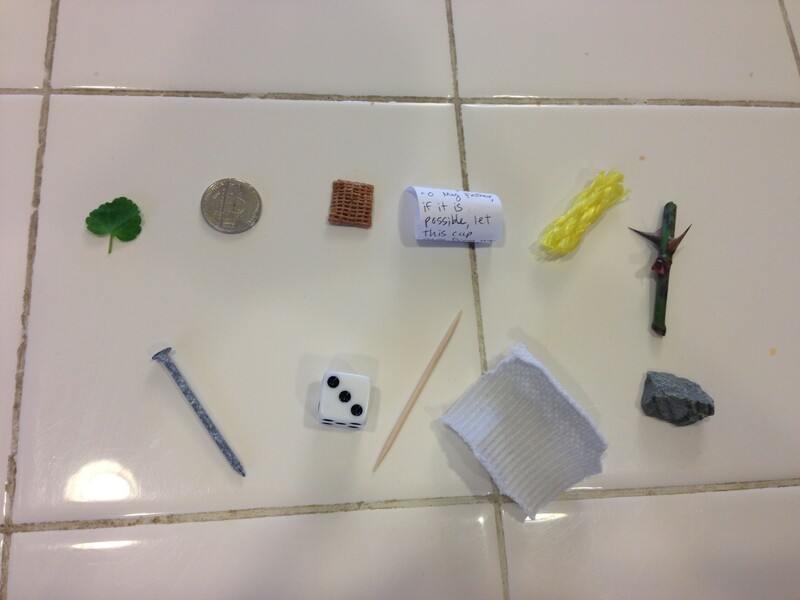 I already had all of the supplies at home and it took about 10 minutes to gather everything and put them together. 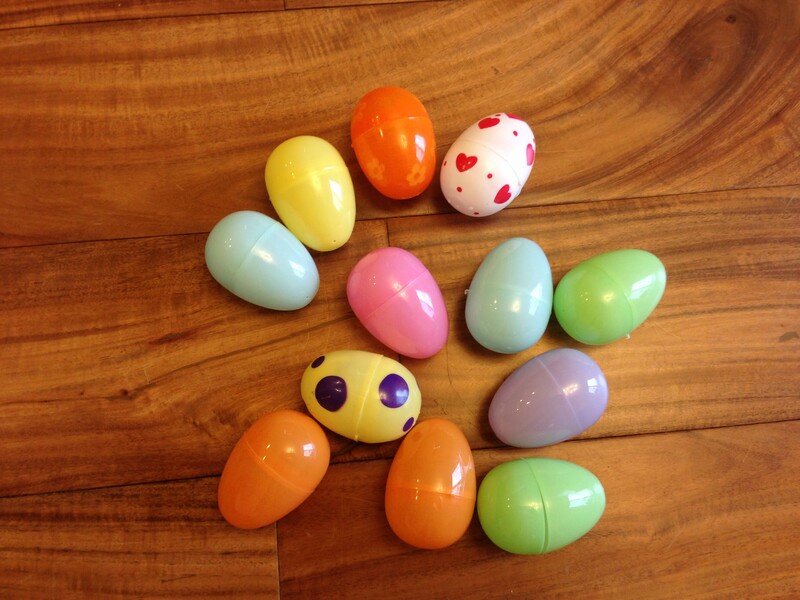 Here’s what I put together if you want to make your own set of Resurrection Eggs to use with your little ones. 12 plastic Easter eggs. Any size and color will work just fine. thorn (symbolizing Jesus’ crown of thorns. I used a clipping off my rose bush, but you could use a doll crown or a crown made out of tinfoil instead) Matthew 27:29 and then twisted together a crown of thorns and set it on his head. They put a staff in his right hand. Then they knelt in front of him and mocked him. ‘Hail, king of the Jews!’ they said. Bible I like using a physical Bible whenever I can with the little ones. 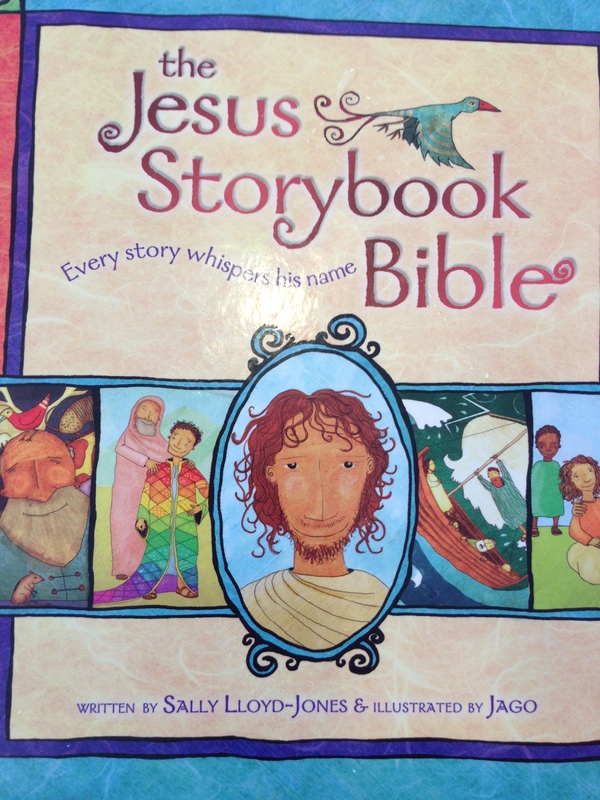 I want them to learn that the Bible is God’s true written Word, and there is something special about having a physical book that they can see and touch and explore. I decided to keep a list of the verses I’ll be using for reference in my Bible and then I hi-lighted each verse in my Bible. 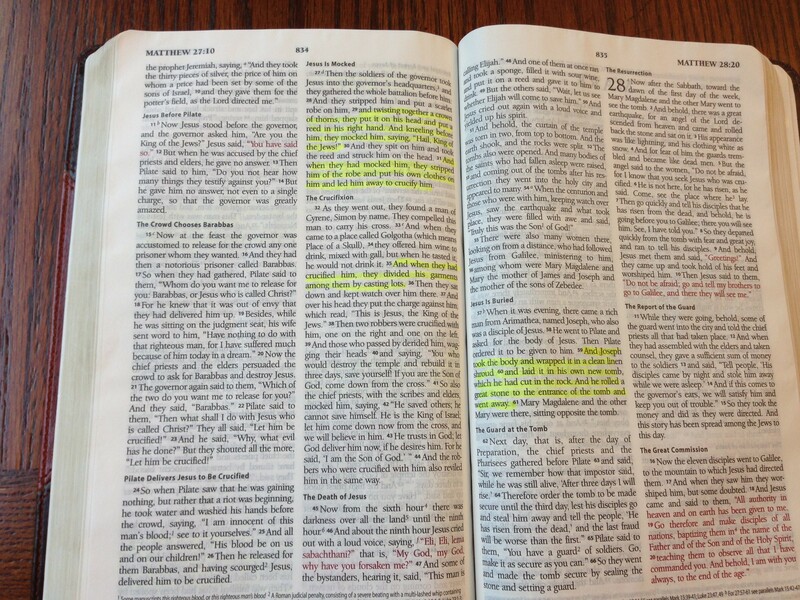 I’ll show David the verse in my Bible each day and have him touch the words as I read them to him. Box or Egg Carton For Storage I just used an empty egg carton to store my eggs in. 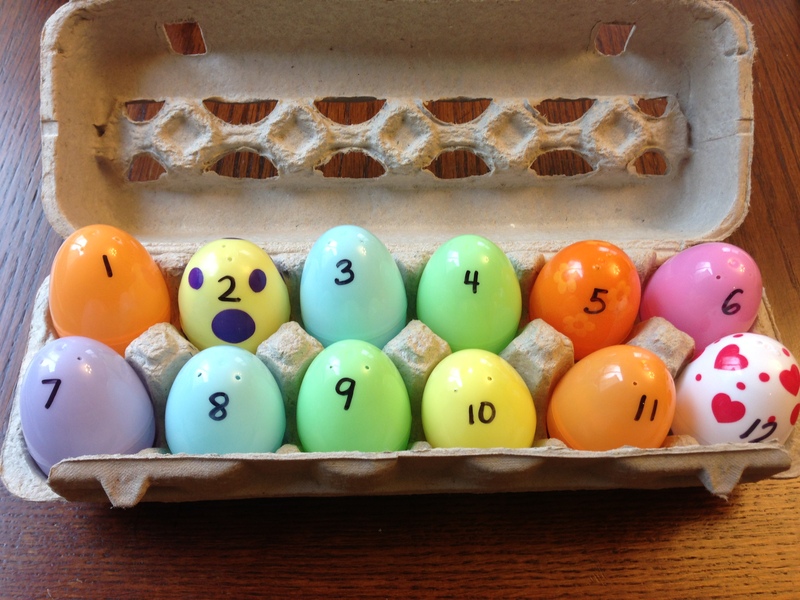 I used a Sharpie marker to number the eggs 1-12 once I filled them, and then placed them in the correct order. That’s it, we’re ready to go! This year I will begin using the Resurrection Eggs on Wednesday, March 20th (11 days before Easter so we can open egg #12 on Easter). If you want to do more than one egg per day, or even the whole box at once, go for it! The beauty of this activity is that you can go at your own pace and follow your child’s leading. 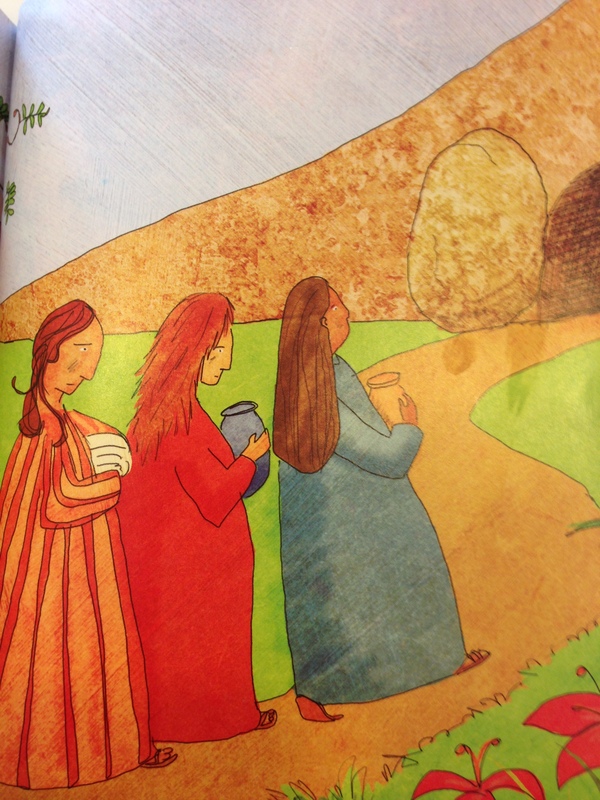 There’s also a great book that goes along with the Resurrection Eggs called Benjamin’s Box if you’re interested in some more enrichment. Happy Easter: He is risen! He is risen indeed! I have a lot of friends who have either recently had their first baby or are pregnant right now. When I was pregnant with my first baby, I read every pregnancy and newborn book I could get my hands on. I wanted to know what this whole baby thing would be like when it actually happened. Now, 2 babies later, I am still learning about motherhood. Every. Single. Day. Only now it’s not from a book: it’s from the trenches. Despite my best intentions to learn all that I could before I had my babies, there’s just so much more that I’ve learned from my on-the-job training than I ever could have gotten out of a book or a manual (if there were such a thing). I’ve learned a few valuable lessons along the way–tricks of the trade, if you will. Here are a few things I wish I would have known about before I had my first baby. 1. Let go of your plans/hopes/desires/dreams for your baby’s birth. This photo is from my first son’s birth. You may notice that I’m lying on an operating table. That was so not the plan. I went into both of my births planning on having natural childbirth experiences with no drugs and minimal interventions. For our first child, I planned an out-of-hospital birth with midwives–I didn’t even want a doctor in the room! Long story short, I’ve had two emergency C-Sections. I’m 0-for-2 in the “having birth go your way” department. But here’s the thing: it’s OK. I had a really hard time dealing with my first C-Section–I felt like my body had failed me in this most basic function. Then I realized that my baby’s birth was not in my control. I did everything I could to get him out safely and, in the end, that meant we had to cut him out at a moment’s notice. And he was perfect and healthy and wonderful. Even though things didn’t go how I would have liked them to go, they went how they needed to go. With our second birth I let go of a lot of my expectations and, even though the outcome ended up being the same (BUMMER!) I was fine with it. Even though the birth itself wasn’t all that different, my attitude about it was–and that made a world of difference! When it comes to babies being born, expect the unexpected. Hold your plans in an open hand, not a closed fist, and be willing to go with the flow. 2. Having a baby doesn’t have to break the bank. It’s true: having a baby is expensive. Really expensive. But there is hope! There are lots of great ways to save money on baby expenses. The first thing I would suggest all moms do is sign up for Amazon Mom. It’s a great program run through Amazon.com that gives you free 2-day shipping on everything you buy on Amazon, plus it gives you discounts on baby essentials. It’s free to sign up and it saves you trips to the store (which, for a new mom, is as good as money in her pocket!). You can also try your hand at couponing to save money on diapers and wipes. I was pretty diligent about couponing with my first baby and we saved about 50% on diapers that way. If you want to learn the ropes, there are some great tutorials online that can show you how to get the most bang for your buck (or clip?). Take advantage of free/cheap resources and activities in your community–library story times, parks, community play areas (I love the Shoreline “indoor playground” for all of you Seattleites), beaches, hikes, farms, public swimming pools, and outdoor concerts to name a few. Make your own baby food (see my post for making your own baby rice cereal here). Only buy what you need. You could spend a LOT of money on baby gear, but you really don’t need all of it. See my list of the essentials and my favorite products for more details. 3. “You can do anything, but you shouldn’t do everything”. I saw this quote recently, and it rang really true with me. Choose what you want to focus on, and go for it–but don’t expect that you’ll be able to do everything that you want to do. In fact, you probably won’t even be able to do everything that you need to do once your baby arrives! 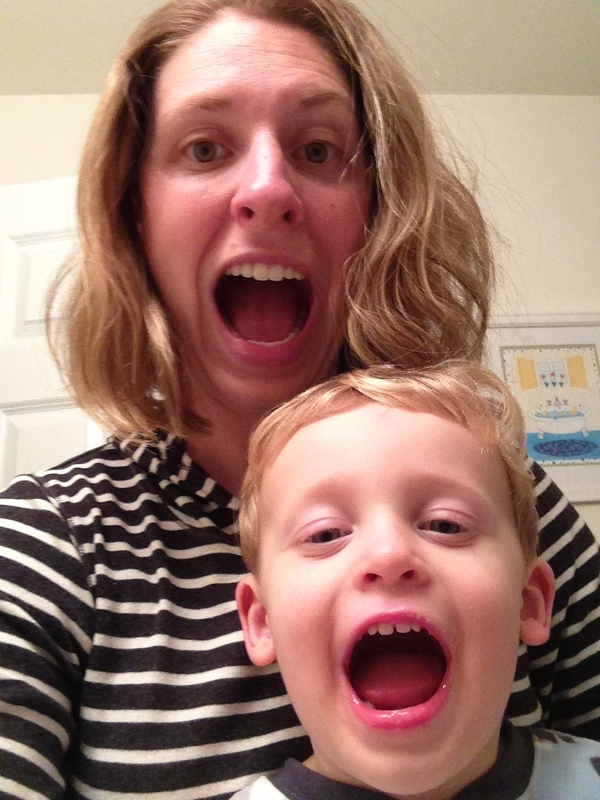 Don’t try to be Super-Mom who does everything has it all together all the time–even moms who look like they have it all together really don’t. And that’s fine. That’s called being a mom. If you have piles of dirty laundry, a dish full of sinks, and a child crying at your feet as you’re making dinner, that’s normal. Do the best you can with each day, and call it good. Along with this, know that it’s OK (no, necessary) to have help sometimes. Allow your friends, family, and community to help with meals, cleaning, babysitting–whatever you need that will free you up to focus on adjusting to life with your new baby. Once you have a baby, you’ll know where that phrase “it takes a village…” came from! 4. It’s OK to put a crying baby down. Whenever my first baby would cry, I did whatever I could to make him happy–right away. I had this weird feeling of abandonment if I heard him crying and wasn’t instantly there to soothe him. But then, one day, I couldn’t get to him right away–and he was fine! In fact, he calmed down on his own, went back to sleep, and didn’t seem bothered in the least. Then I realized, it’s OK to let baby be on his own a bit. Now, with 2 little ones, I’ve learned that it’s actually necessary to put down a crying baby sometimes–and he’s always just fine. An added perk: baby will learn how to calm down and entertain himself if you aren’t doting on him every moment of every day–a valuable life lesson, indeed! If you need to put down your baby so you can go to the bathroom or even take a quick shower, he’ll survive the 5 minute interlude. You both might even enjoy it! It never ceases to amaze me how every living, breathing person has advice on child-rearing. People with babies, people without babies, old people, young people, you name it–they all seem to know the only right way to do things with a baby. And they’ll tell you. Especially if you’re doing it wrong. I have found that the best response is usually just to smile, say “Thank you”, and then keep doing what you were doing. As this baby’s parent, you know them better than anyone else. You know what they like, what drives them crazy, how they respond to different situations, even what bodily functions they’ve performed in the last 24 hours. You are your own baby’s expert. So, even when you get good advice from someone else, check it against what you–your baby’s expert–knows about your baby. What’s worked for someone else and their baby may not work for you. You will have days as a parent that just make you want to cry. Or scream. Or throw a good old-fashioned temper tantrum. And, sometimes, that’s OK. We all need to cry and scream and throw a fit every now and then. But you can also choose to just laugh at the situation and say “oh well, these crazy kids have done it again!”. For instance: The other day I was trying to cook dinner and my boys both decided this would be a great time to test Mom. With a pot boiling over on the stove, the baby started screaming. When I picked him up, I noticed that he had poop squishing all the way up his back and out the neck of his onesie. I ran upstairs to change him and when I came back downstairs, my 2 year old had flung half of the contents of his rice box (a sensory activity) across the floor. I could have cried or yelled or run away to a nice quiet closet, but I just had to laugh at myself and the “situation” that is my life. This is my lot now, and it’s actually kinda funny. Three years ago, I never would have imagined that this is how a typical Thursday afternoon would look for me. But it is, and I embrace it! If I don’t laugh at myself every so often I could end up resenting the way things are, and I never want that to happen. So bring on the messy, the loud, the annoying, the embarrassing: I will just laugh at you! 7. Sleep. And don’t expect to feel rested for the next 20 years. You’ve heard it before: sleep when the baby sleeps. That worked for the first few weeks for me, but then I realized that “when the baby sleeps” happened to be the only time I could take a shower or eat a meal or pay the bills. Rest is still really important, though. I’m not good at taking naps during the day, but I can usually fall asleep pretty quickly at night time. As a result, I have to be pretty diligent about setting a bedtime for myself each night and sticking to it–even if I really want to stay up late doing important things like watching TV or checking my friends’ status updates on Facebook. But the sad reality is that even if you do go to bed on time and try to take naps when the baby’s sleeping, you’ll probably never really feel rested as long as there are people who call you “Mom” or “Dad” living under your roof. Kids are exhausting and you’ll probably never get enough rest to make up for the energy output they require. Oh well, can’t blame a girl for trying! 8. Document important information and events. When your baby rolls over for the first time, or gets her first tooth, or says his first word, it feels like the most earth-shattering event. You know that you’ll remember it forever! But you won’t. My oldest son is only 2 1/2, and I already can’t remember a single stat or milestone from his babyhood. Maybe I just have a terrible memory, or maybe my brain is just a pile of mush after chasing two little boys around every day, but the fact remains that I just don’t remember those all-important details. Do whatever works for you to record your child’s life. Some people like hanging a calendar by baby’s changing table so they can write interesting little facts about baby for each day of their first year. You could buy a baby memory book from the store, jot notes down in a notebook, or even pull out your smart phone (yes, there’s an app for that). 9. Avoid burn out: take time for yourself. It’s easy for a mom to get sucked in to the 24/7 nature of parenting. But if you don’t take a little break every now and then, you might just break! Exercise. Get Grandma and Grandpa to come over and watch the baby so you can go out on a date with your husband. Grab some girlfriends and get a pedicure on the weekend while Daddy is playing with Baby. Hire a babysitter and go to a coffee shop so you can lose yourself in a good book for an hour. Maybe even train for a half-marathon on the weekends (see photo above. Bonus: you get an extra member of the cheering section when baby comes to watch your race!). If you need to, schedule these “breaks” into your schedule (and make sure your husband has them in his calendar, too!). I have found that when I take good care of myself, I’m able to take better care of everyone else. 10. Be present and enjoy the ride. Parenting can be very challenging, demanding, draining. It’s tempting to check out with a smartphone or your laptop while the kids run around at your feet. But blink, and you’ll wonder where the time has gone. Trust me, you won’t want to miss those moments–no matter how mundane or trying they seem in the moment. Most days I go to bed and think, “What did I do today?”. When I see the list of things that didn’t get done and the piles of things that need to be dealt with it can be a bit disheartening. But the reality is, I did a lot today. I snuggled my babies, I kissed a boo-boo, I cleaned up poo-poo (I cleaned up lots of poo-poo). I read some stories, I played make-believe, I disciplined, I prayed, I disciplined some more. I ran through a park, I bathed tiny bodies, I sang lullabies, I said “I love you!”. I did a lot today–and I want to savor every moment of it.